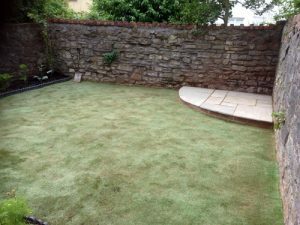 The client in Clifton wanted a maintenance free garden with an area to sit and enjoy the evening sun whilst keeping an eye on their little one. 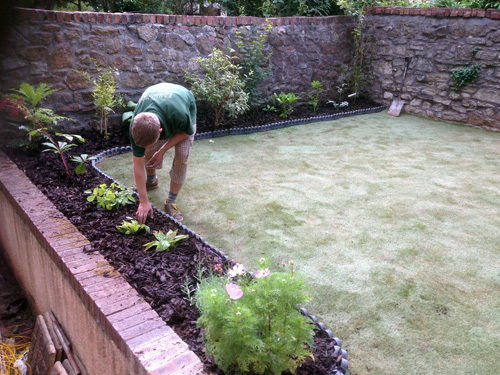 After the old lawn and weeds were removed a new artificial lawn was installed with a suitable sub-base. 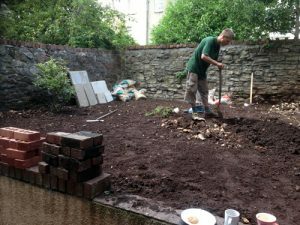 A corner patio was cut and installed and some low maintenance shrubs were planted surrounded with chipped bark and weed matting to keep maintenance to a minimum.